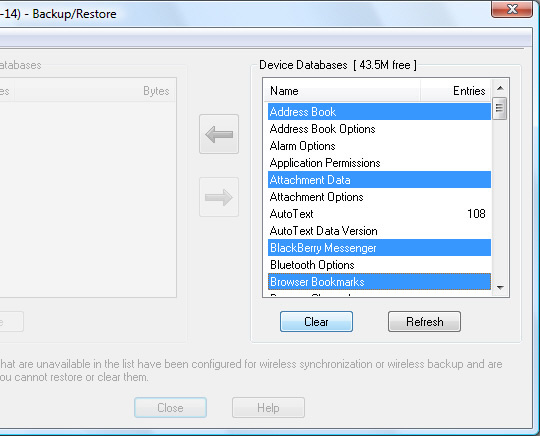 Before clearing any information from the device, it is strongly recommended to backup the data. 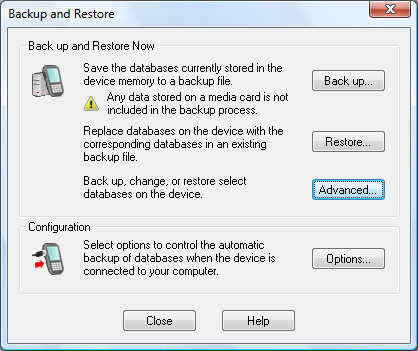 Please refer to Using Backup and Restore to backup data - BlackBerry. Connect the device to the computer using a USB cable or cradle. 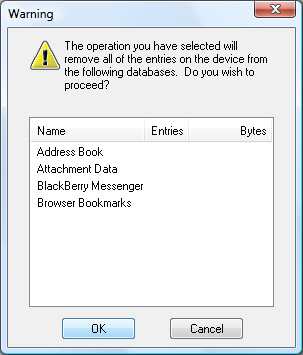 Click Start > All Programs (Programs) > BlackBerry > Desktop Manager. 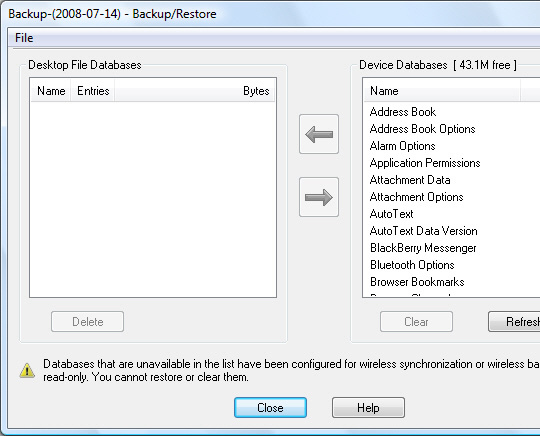 From Device Databases (located on the right side), select the desired databases then click Clear. To select multiple databases, press and hold the Ctrl key while clicking each database. To restore data to the device please refer to Using Backup and Restore to restore data - BlackBerry.